Let’s build Brooklyn’s premier LGBT+ center together! There are two ways to review the plan: watch the video below or download the PDF. What’s your vision for Brooklyn’s twenty-first century LGBT+ center? Make your own video and tell us! This is your opportunity to make your ideas known while having a ton of fun in the process. We’re listening. And it’s possible your ideas will make their way into our plan. imagine or envision your goal for the LGBT+ community in Brooklyn. If you want to know our vision, please download the plan here. decorate a pair of glasses, hat, or other accessory that reflects your ideas. Use colorful accessories any way you want to show off your silly side and personality. “We’re ______, and we [have, imagine, see, etc.] a 2020 vision where (a goal for LGBT+ people)” in unison. ACTING TIP: Remember to A-R-T-I-C-U-L-A-T-E and express yourself through your voice, too! record your clip with a camera or phone. Lights…camera…action! Upload the video to social media such as Facebook, Twitter, Instagram, and Tumblr. Use the hashtag “#BrooklynCenter2020” when sharing. share your video clip and donation news! Follow us and post your video on Facebook. 1. What is the Challenge? Representing your ideas through decorated eyewear or fashion accessory. Making a video of your creation (see tips at right). Sharing the video on social networks. Making a donation (it’s not required). Inviting ten friends to accept YOUR challenge! 2. What does “2020 Vision” mean? “2020 Vision” refers to our plan for the Brooklyn Community Pride Center to establish a second site for the LGBT+ community in Brooklyn and its allies by the year, 2020. We want to be Brooklyn’s number one destination for the LGBT+ community and our allies to connect, organize, play, and belong through expanded programs and services and partnerships with other organizations. 3. Do I have to make a donation if I make a video? No. You are not required to donate to the Brooklyn Center if you make a video. We appreciate your time and energy to make a video regardless of whether or not you make a contribution. There is a donation link on this site if you would like to make a donation. 4. Do I have to wait to be challenged before I make a video? Not at all! We encourage you to make individual or group videos to show your support for our 2020 Vision and to share your ideas. You do not have to be challenged by someone who has previously made a video. Make your video when you want, how you want, and share your ideas! 5. Is there a deadline for 2020 Vision video submissions? We do not yet have a specific deadline for individuals or groups to make a 2020 Vision video. This will be a growing process for the Brooklyn Community Pride Center that takes time and we are grateful to you for participating in the process. Please return to this page for campaign updates. 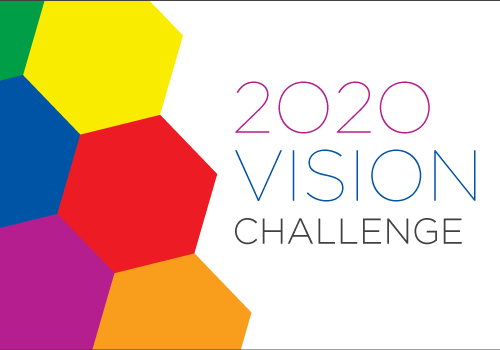 If you have any questions about the 2020 Vision Challenge, please contact Floyd Rumohr at (347) 889-7719 x.210 or frumohr@lgbtbrooklyn.org. Here’s a short homemade video sample. Please visit our You Tube Channel for more videos!